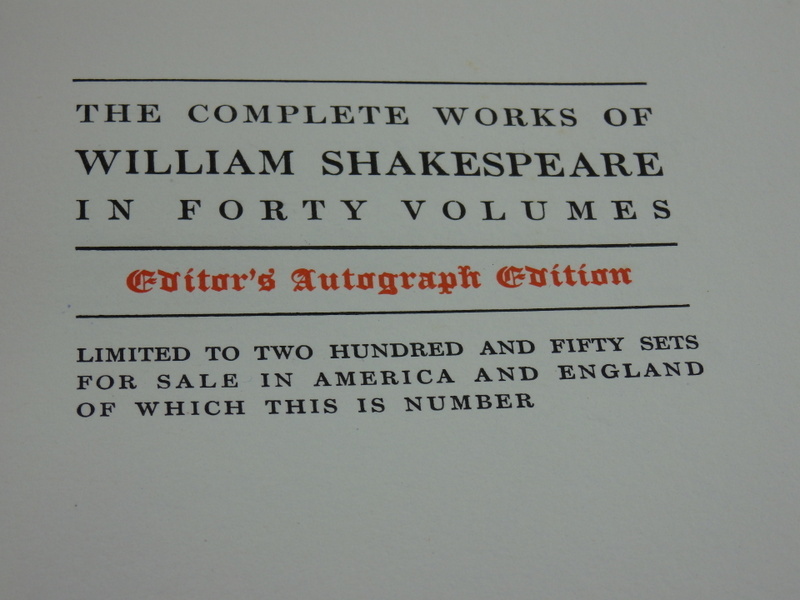 Set of 40 volumes of Shakespeare’s works in a limited edition of 250. 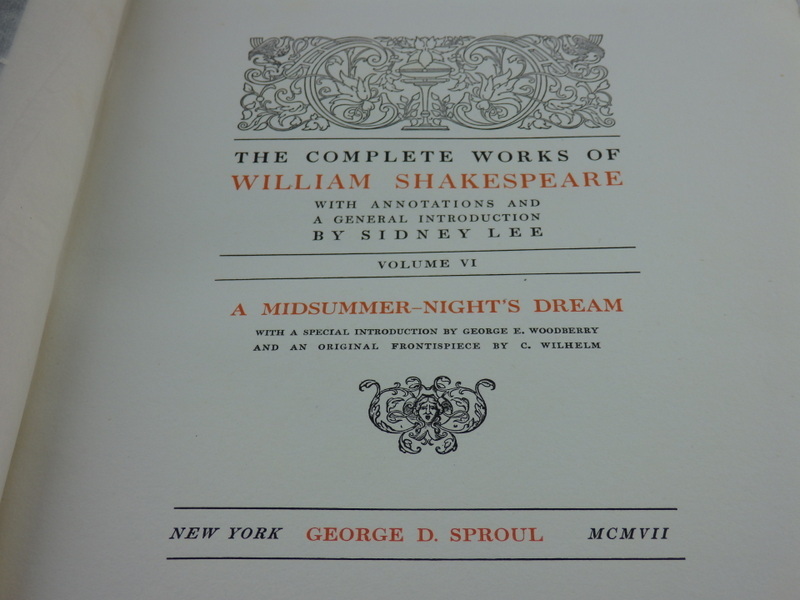 Editor’s autograph edition published by George D Sproul. 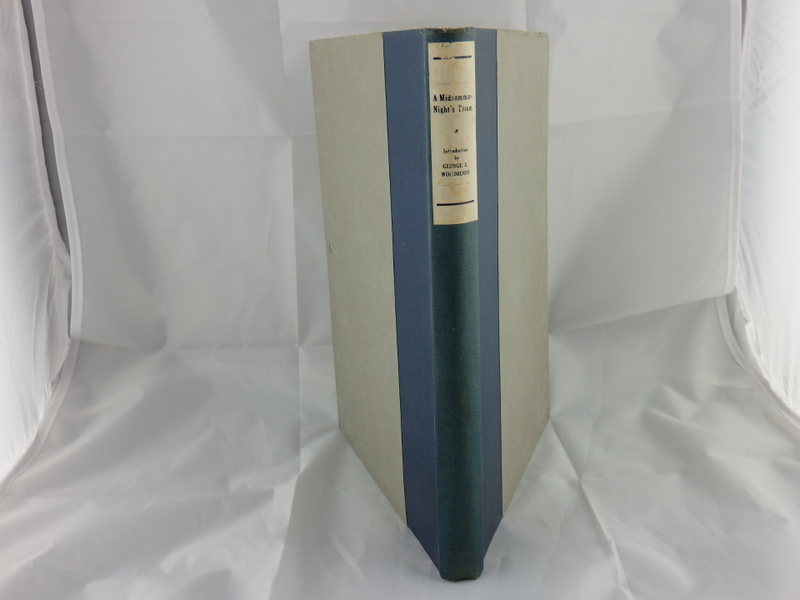 New York.The University Press shakespeare edition. condition fair. Wear on some hardcover fronts.